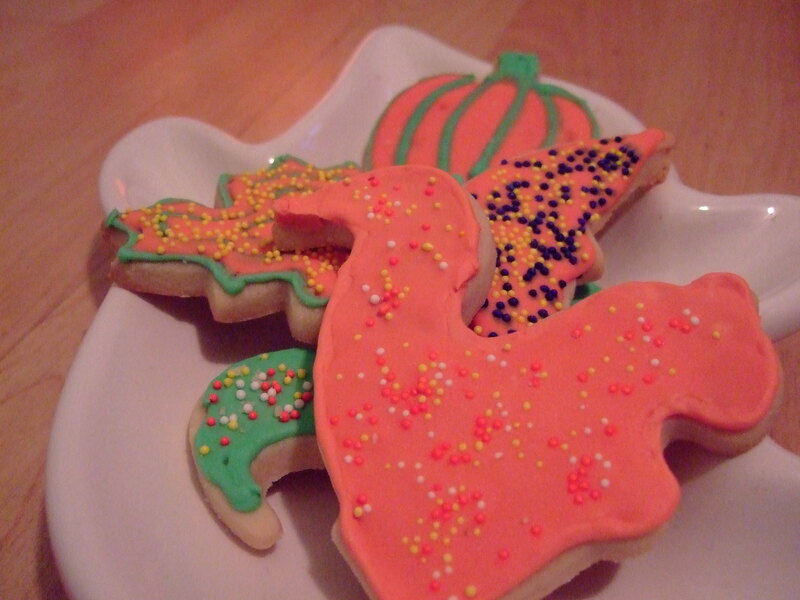 I’ve always been on the hunt for the perfect sugar cookie with the perfect icing. The kind you buy in bakeries and say to yourself, “how do they make this? what do they use? unicorn butter?” I never understood…until now. Stop right there. Do not pass go. Do not collect $200..unless it’s from someone paying you to make these for their Halloween Party. These are incredible!! Cream the butter until light and fluffy. Mix in the powdered sugar until combined. Add the egg, almond extract, vanilla extract, and salt and mix together. Finally, add the flour and mix thoroughly. Form the dough into a ball and wrap tightly with plastic wrap. Chill in the fridge for at least 1 hour. After the dough has been chilled, break off pieces about the size of a baseball to roll out. Using a rolling pin and a flat, floured surface, roll out the dough to about 1/4″ thickness. 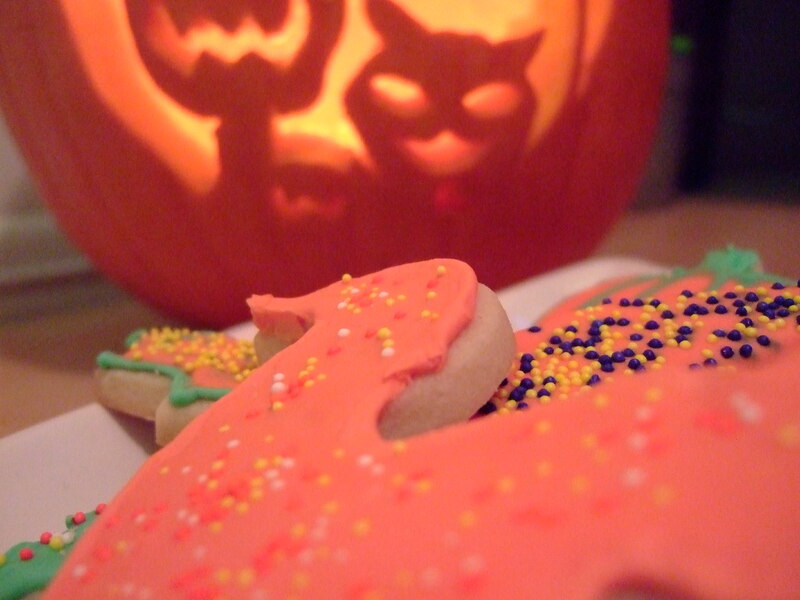 Cut the dough with your favorite cookie cutters and place onto greased cookie sheet. Place the sheet into oven and bake for 8-10 minutes. Do not let the cookies brown. Place them onto a wire cooling rack. Once cool, decorate or frost. Combine all ingredients until smooth. If you’d like the icing to be thinner, add only a few drops of water at a time until you reach your desired consistency. I’m going to try these. Check the instructions, I think there is a typo.